Free Flat UI Kit - Dealjumbo.com — Discounted design bundles with extended license! Free Flat UI Kit - Dealjumbo.com — Discounted design bundles with extended license! 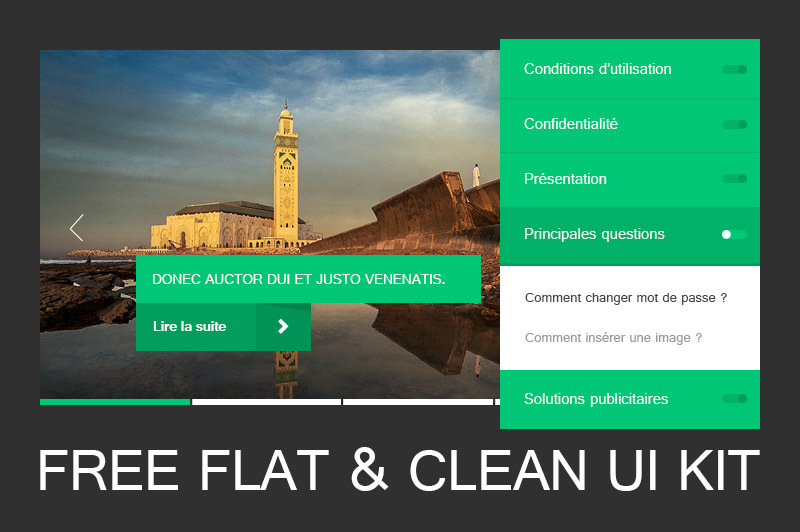 Free flat style UI kit from El Younssi Wahib. Create your new flat style web design in minutes. Enjoy :) More similar templates here!